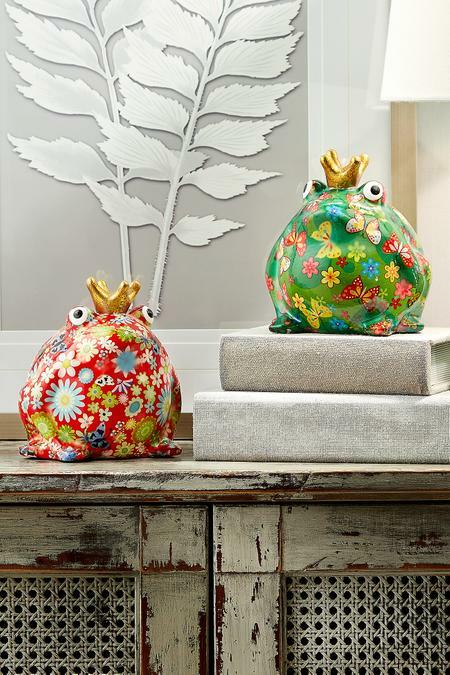 These whimsical Pomme-pidou® frogs delight your decorating with colorful prints charming. Crafted in Bruges, Belgium, each blossom or butterfly is painstakingly hand-applied, making each piece unique. Styled like a vintage piggy bank, each work of art is a conversation piece, to be sure. 6-1/2" x 6-1/2" x 5-3/4"